I occasionally catch myself singing a jingle from my childhood and wish I could I have that part of my brain back. What happens in childhood stays in our brains (it’s not Vegas baby). New research has found that advertising leaves a lasting “imprint” on developing brains, particularly fast food logos. I think most of us could attest we can identify the golden arches anywhere in the world. According to a study from the University of Missouri-Kansas City and the University of Kansas Medical Center, children’s brains are being branded early on in life—even before they know how to read. While we can’t blame logos solely for the childhood obesity problem, there is little doubt that a the association a child’s brain makes with these logos could be having an effect on their relationship with food. The study analyzed children’s brains when being shown food logos. The children, ages 10 to 14, were shown 120 logos—60 of them food-related and 60 of them non-food-related. Using MRI technology, the researchers monitored their brains for activity. When shown food logos, the children’s brain activity was significantly increased compared to when they were shown non-food logos. Specifically, the areas of the brain controlling rewards and appetite control “lit up” when shown the food logos, similarly to how they would if they were shown actual food. To call this “worrisome” (as the researchers did) is putting it mildly. “Some research finds that children identify the golden arches for McDonald’s before they know the letter M,” said Dr. Amanda Bruce. In children, the areas of the brain governing self-control are not yet formed. When the logos of these disease promoters like McDonald’s are imprinted on the brain before self-control is developed, the results could be tragic. In early childhood education (ECE), such early recognition of logos is called environmental print and is often used to teach children to read by starting with familiar logs and labels. As an ECE educator, I refused to make environmental print classroom books with children’s favorite sugary cereals, as I didn’t want to promote their consumption. Instead, I glued photos of other environmental print in our community, like the sign at the post office, onto blocks for the children to play with and practice reading. Companies use logos for easy recognition, and our children’s brains are being imprinted with this knowledge. We cannot entirely protect them from this branding, but we can ensure we only feed them healthy, whole food and avoid such fast food chains. I wonder if the research was conducted with children that do not eat at fast food restaurants but instead are fed whole foods from gardens and farmers markets if the results would be the same. I am sure my children know what the golden arches symbolize even though we avoid this fast food chain. Well, we cannot send our children through life with blinders on. I am sure the site of many things are imprinted with the food response. One must enforce and educate on good behavior and hope for the best. It would be even more interesting if they were to do a side-by-side with children from a non-industrialized culture, where natural plants and herbs are used for medicinal purposes and the bulk of their diet. When my oldest boy was a toddler, we noted that he could identify logos- MORE logos than I or my husband could- at a glance. Even for products and services that we don’t, and didn’t, use! At the time, I wondered if it was a natural thing, for children to “index” like that- and then remembered that I can glance at pretty much any plant or mushroom from the place that I grew up in, and tell you what it can and can’t be used for- because that’s what my father trained me in, from a very young age. It’s been many years, but I can still tell you what can be safely eaten in the wilds of the Northwest, what will staunch bleeding, and conversely, what will kill you painfully, if you consume it. I suspect that this is a natural, in-born ability for children, that is being tapped (OK, usurped)- smart on the part of advertisers, sad for the parent who’d prefer that their kids steer clear of this garbage. As an ECE educator, I refused to make environmental print classroom books with children’s favorite . 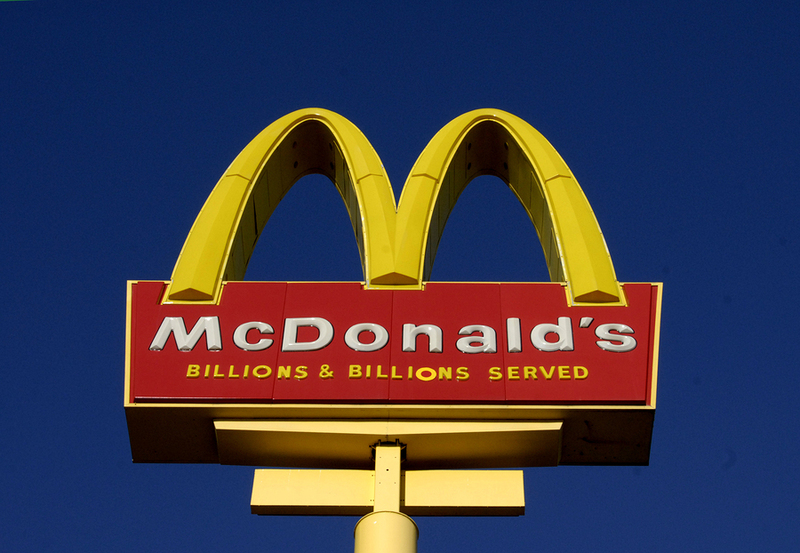 I think most of us could attest we can identify the golden arches anywhere in the world.